Nikon Speedlight SB-910 AF Shoe Mount Flash for Nikon. Condition is Used. Shipped with USPS Priority Mail. The batteries have always been removed so there's no battery leaking/acid. 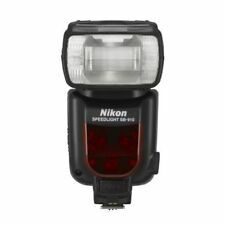 Nikon SB-910 Speedlight Flash. Nikon SB-910 Flash. Nikon Diffuser. Compatible with Nikon i-TTL. Excellent: 80-89% of original condition. Constantly achieves and often exceeds expected performance levels. Mint: 90-100% or original condition. The item pictured is the actual item for sale . 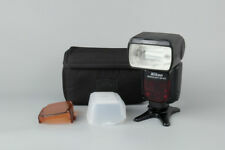 Nikon Speedlight SB-910 SB910 AF Flash Light. Nikon Speedlight SB-910 Shoe Mount Flash Unit. Original Nikon Colour Filter Holder SZ-2TN. Original Nikon Colour Filter SW-13H. Original Nikon Flash Stand AS-21. Near Mint! Nikon SB-910 AF Speedlight Flash for Nikon. Condition Grade Near Mint! Near Mint It is used,but there are few sign of use. Mint It is used,but there are almost no sign of use. Condition Grade.